FedEx Ground: Brings the mirror to your door. They do not unpack the mirror. They come without a delivery appointment. If you are not home to accept delivery, they will leave a delivery attempt notice with a local phone number and a tracking number. Prices listed are for continental(48) states. Please contact us for FedEx Charges in Alaska and Hawaii. 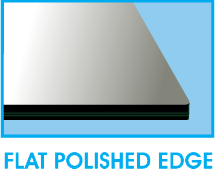 Your Square glass top protector is tempered at NO ADDITIONAL COST. Tempered glass is 4-5 times stronger than standard annealed glass. 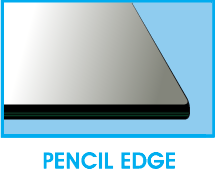 Tempered glass is manufactured through a process of extreme heating and rapid cooling. 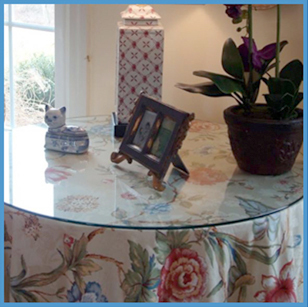 Tempered glass table tops are more heat and scratch resistant than standard annealed glass.